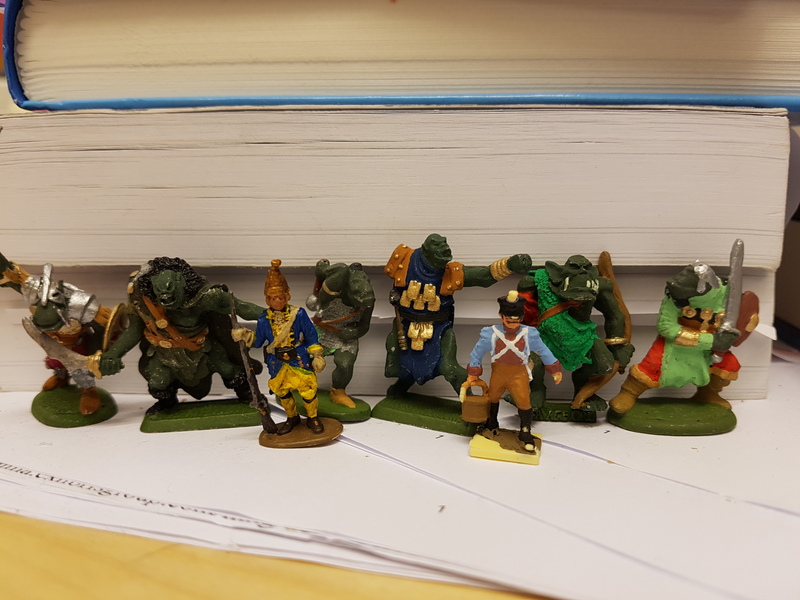 Asked to make a little comparison photo with my Mithril and Prince August orcs so I did that. And threw in a Games Workshop-orc too. And two 1/72-figures to show the size. They are quite similar in size, but not so similar in style. I don't have any plastic orc so I can't take a picture of that.